It’s no exaggeration to say that today Nelson felt like it was under attack. We all felt grateful for the men and women keeping us safe and lucky to live in a community, in a country, that pulls together in times of crisis. Then, at around 2.30pm, things got more intense. 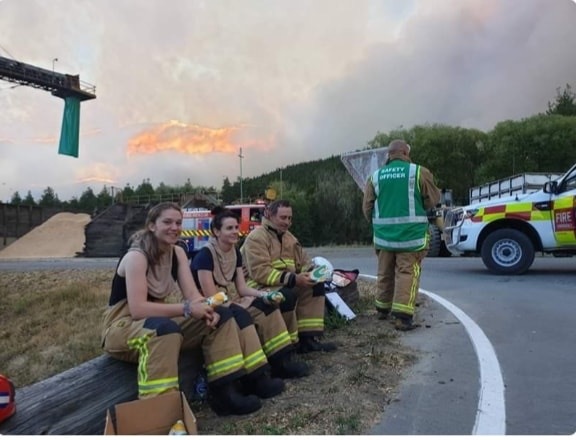 Across town a hill we used to live on was on fire – the flames visible for the city to see – and friends were evacuating. Hoping to make myself useful I jumped on my bike. Riding through town was unreal. 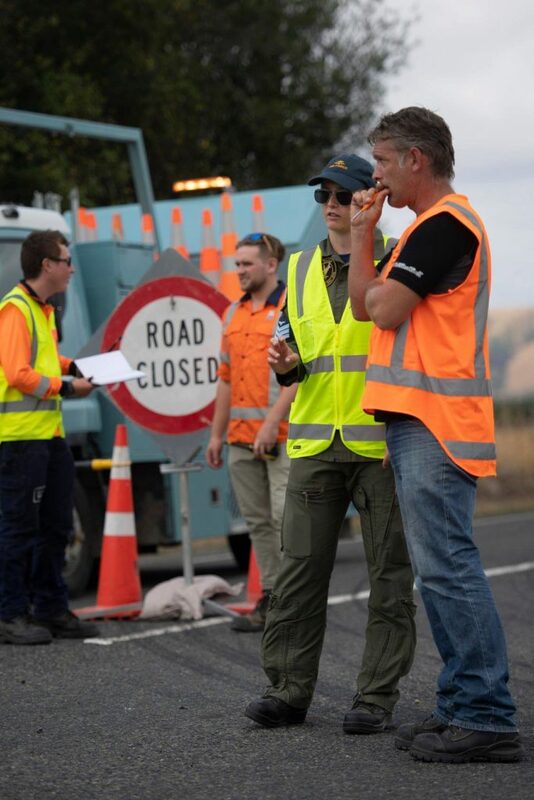 People stood open mouthed in the street staring at the action while choppers with payloads of water fresh out of Tasman Bay came in low and fast. You wanted to yell “Go! Go! Go!” as they closed in on their targets. You wanted to cheer every time they hit the dump button. By the time I got to Iwa Rd the police were clearing the street. Our friends had grabbed their dog and a handful of stuff and, along with their neighbours, were on the move. A house that had looked doomed had been saved with hoses while above two planes armed with fire retardant were joining the attack. Soon the evacuees were safely down on the street below with front row seats to the drama. A lot has already been said about the courage, skill and professionalism of our first responders but, seriously, it was impossible not to be impressed by what we saw today. The pilots and firefighters on the ground kicked that fire in the arse! Yes, there were flare ups and, yes, they needed to return once or twice to make sure its arse remained kicked but when you consider how hard they have been working, some of them for four days, it was a stunningly well executed assault on a fire that could have easily turned into something truly horrific. The fact they then returned to fighting the monster out in Tasman is also slightly mind-blowing. We are also lucky to live in the developed world where we have the kind of resources that can mean the difference between life and death. Will we be so lucky next time? I’m an optimist but climate change is going to mean more fires, more often. My hope is that what’s been happening in Nelson snaps a whole lot of us out of our complacency. We need to start taking this stuff more seriously because, if we don’t, being under attack may soon feel normal. 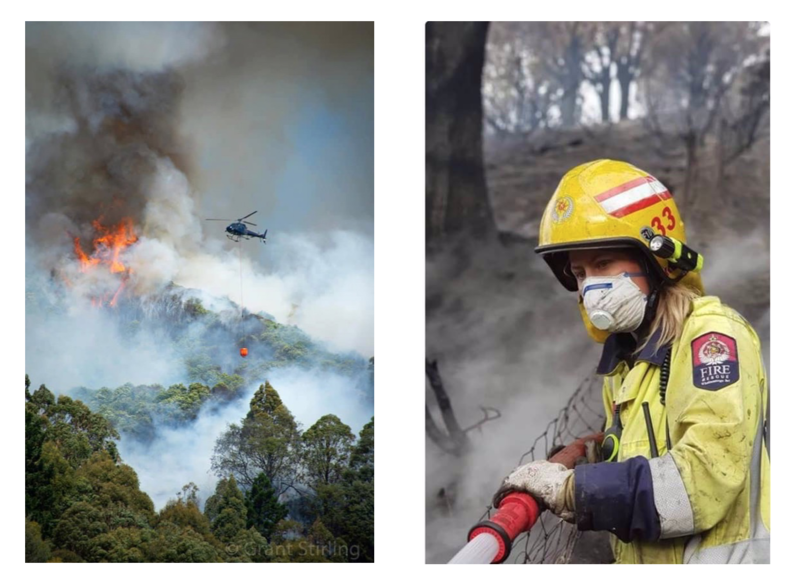 Photos: Nicole from Richmond Volunteer Fire Brigade, Nelson/Tasman Fire Brigade, Civil Defense and Grant Stirling.